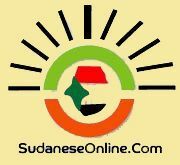 Oct 28 The Sudanese pound has weakened considerably on the parallel market in recent days, currency traders said on Wednesday, as the official banking system struggled to supply dollars needed to buy imports. The cost of a dollar on the parallel market rose to 10.5 Sudanese pounds on Wednesday from 10 pounds per dollar on Thursday last week, traders said. The government has kept the official rate at 6.4 pounds to the dollar since August. "We are expecting the pound to go down in the next days because there are not enough dollars in the market and it is very difficult for businessmen to get dollars from the banking system at the official rate," a parallel market trader said. Sudan's inflation rate rose to 13.1 percent in September from 11.3 percent in June, the Central Statistics Office said earlier this month. "These days, there is higher demand for dollars from traders, but the market is suffering from a large shortage," a second trader said. Prices soared in Sudan after South Sudan seceded in 2011, taking with it three-quarters of the country's oil output, the main source of foreign currency used to support the Sudanese pound and to pay for food and other imports.